Surrounded by a garden. Our female guests can borrow one of our original traditional yukatas(cotton kimono) year round. 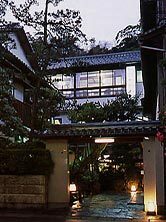 Guests pass through a stone gate into the garden surrounding our Japanese style inn. Families are always welcome. 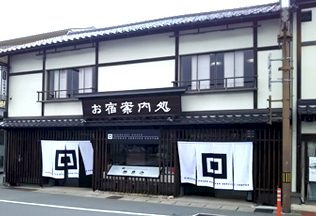 It is also highly recommended to our female guests to borrow one of five available original yukatas(cotton kimonos) to wear to the open-air public hot spring baths in town, for a Japanese experience. The yukatas are included in all the plans and are available year round.